This has been proven from the stone tools found in the Kastritsa Cave. The city was founded in the 6th century by the Byzantine Emperor Justinian. The period of Slav raids followed in the wider area towards the end of the 6th and the beginning of the 7th century A.D. In 1082, the city was conquered by the Normans. It was liberated by Alexius Komnenos in 1108. In 1430, the Ottomans under the leadership of Shinan Pasha on their arrival in the city, they were committed in black and white (definition) many of the citizen privileges, mainly religious and estate, be respected. 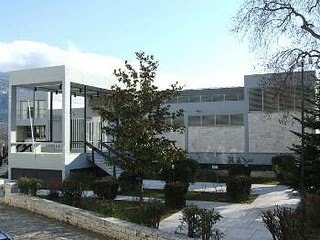 In 1611, Dionysus the Philosopher (or Scylosopher), former bishop of Larissa led the rebellion of the region. The rebellion was drowned though by the commander of the city Ashlan Pasha, a janissary of Greek origin. Families of Turks and Hebrews had settled in the city’s castle since that time. 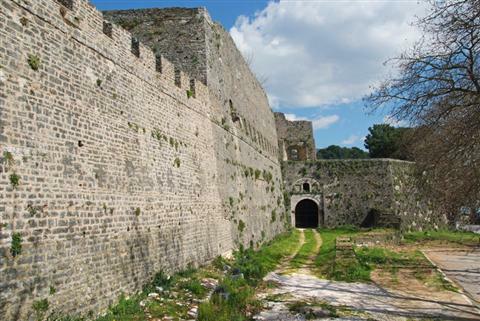 The ousted Greeks founded new villages outside the castle for the first time: Kaloutsiani, Siarava, Karavatia, the Two Brothers, Lakomata etc. The great spiritual and educational activity at the time was the result of economic prosperity the city enjoyed. 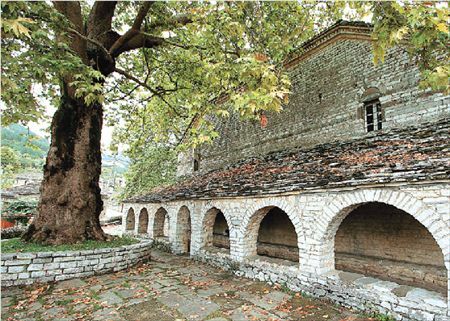 Ioannina was the most important centre of New-Hellenic Renaissance along with Constantinople and the centres of Greek emigrants to Vienna and Bucharest. Greeks from Ioannina were the founders of the four Greek printers’ in Venice. 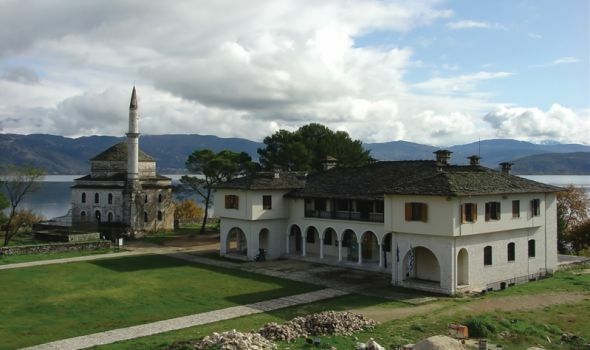 In 1789, the city became the base of the region controlled by Ali Pasha, Muslim of Albanian origin from Tepeleni, who himself had the total control of the whole area of North-West Greece, Thessaly, part of Euboea and the Peloponnese. In 1828, the Zosimea School is founded thanks to the sponsorship of Zosima Brothers in a period quite hard for the city. 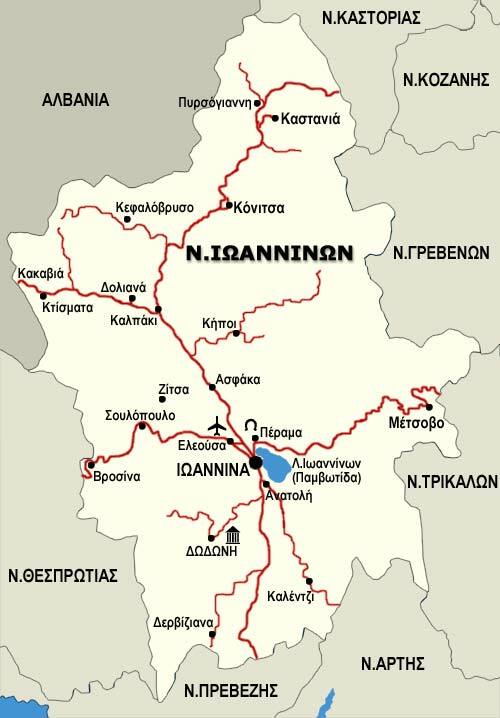 Ioannina was not to be part of the newly- born Greek State (1832). In 1869, great part of the city was destroyed in effect of a fire but it was duly rebuilt. 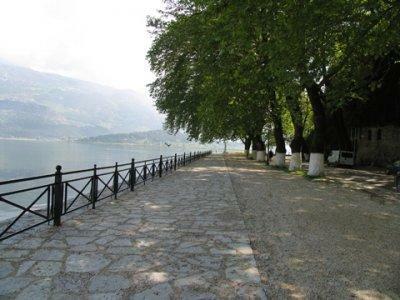 On the 21st February 1913, Ioannina was liberated during the Balkan War and attached to the Greek State. After Asia Minor events (1922) and exchange of populations, most Turkish families left for Turkey while Ioannina accepted several refugees at the same time. At the narrow valley east of Tomarus, the sacred place of Dodona is found which in antiquity was the religious centre of North-West Greece and was dedicated to the warship of Zeus, the father of Gods. 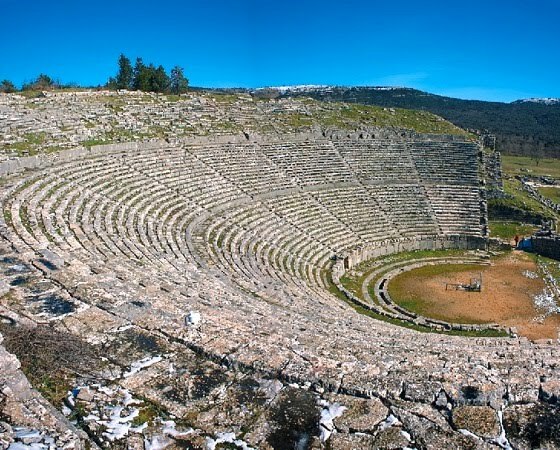 Dodona was famous for its oracle temple, which according to tradition was the most ancient the Greek territory, a clue also confirmed by the reference existing in the Homerian Tales. According to ancient scripts, the priests of the sanctuary were initially men only, but later women called “Peleiades” made their appearance. A feature of the priests was that they would walk barefoot and slept on the ground so as to have an immediate contact with it. In 167 B.C., the sanctuary, together with 70 more towns, was destroyed by Romans led by Aimilius Pavlus, but was rebuilt al over again by Augustus in 31, after the victory in Aktio, which emperor also turned the theater into an arena. It never again regained its prime appeal. 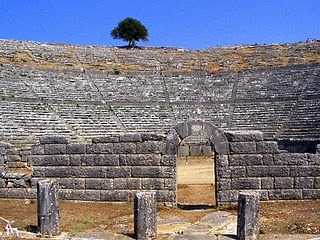 The Ancient theatre of Dodona was built in the 3rd century B.C. when Pyrrho was the King and follows the structure all Greek theatres had. It could host 18,000 spectators and was the largest of the time. During the ceremony of Naia in honor of Naius Zeus, besides the games, drama contests would take place. 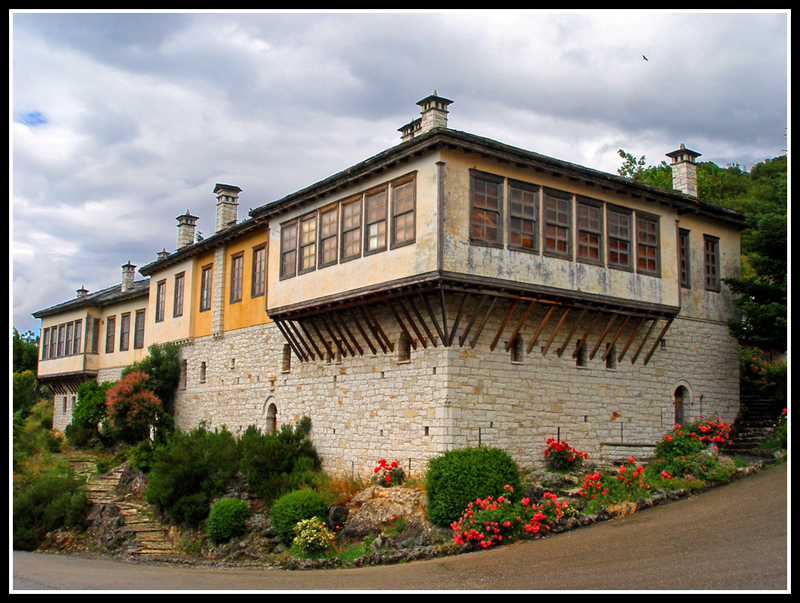 In the whole prefecture of Ioannina, you could enjoy dishes with the original local products of the area. The place proudly features many kinds of pies from Epirus and Giannena as well as sweets from Giannena. Naturalists could enjoy trekking on the mountains on Mount Olytsika and take a break in the shelter of Dodona. 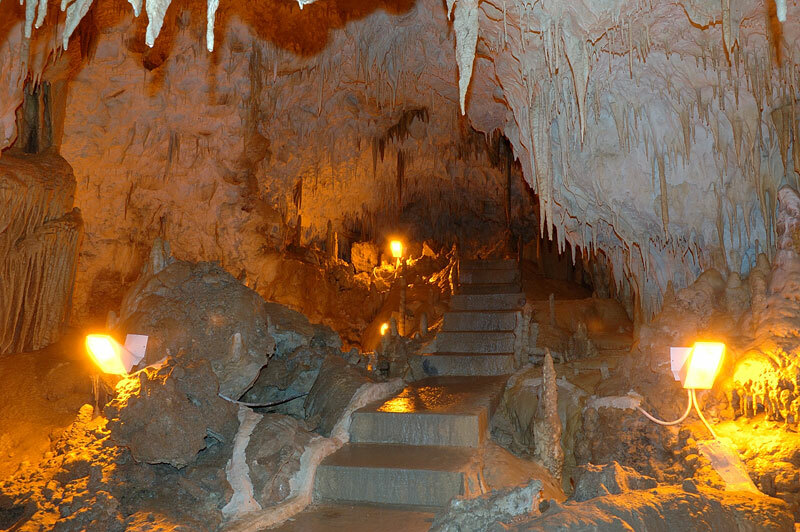 In the city of Ioannina, the visitor will take a stroll in the green route around the lake, will sail on the small boats and visit the Ioannina Cave. Zachorochoria ( Dikorfo, Elati, Konitsa, Papigo) and Vikos gorge are at a greater distance.